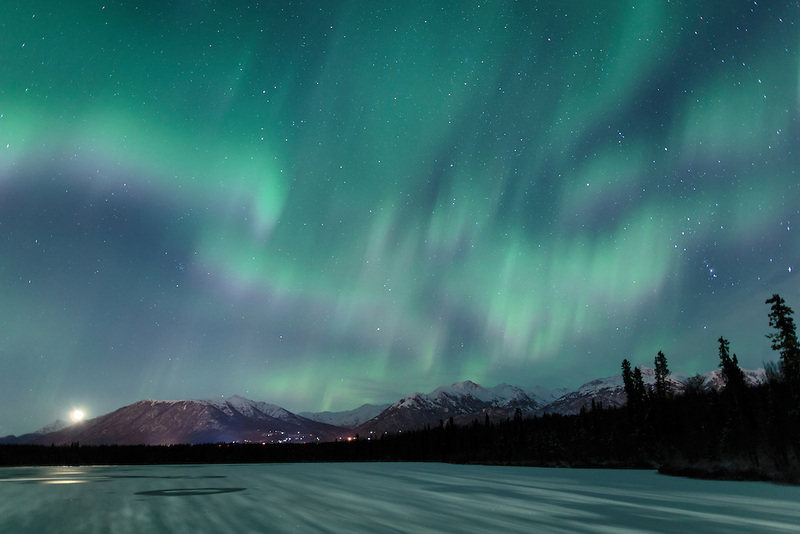 Moonrise as the Aurora Borealis (northern lights) dance above Beach Lake in Chugiak with the Chugach Mountains in the background. Winter. Evening.